Having just invested more than ever before on a new pair of sunglasses, I've been careful to keep them into the case they came. Although it's a hard case and protects the glasses well, it's so big! Fine for when I'm using my large everyday bag but when I switch to something smaller the case is too big. Today I made a cute quilted case and here's to "how to". 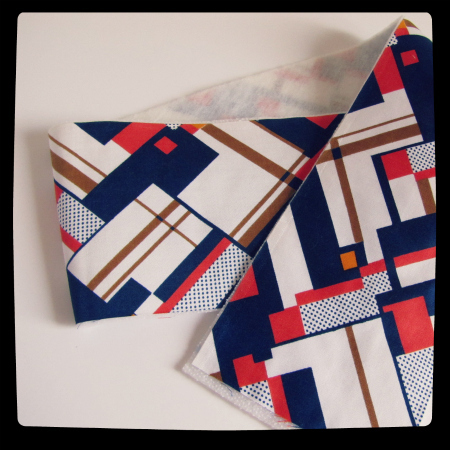 Cut 1 fabric piece & 1 iron on wading piece to measure 46cm x 11cm. 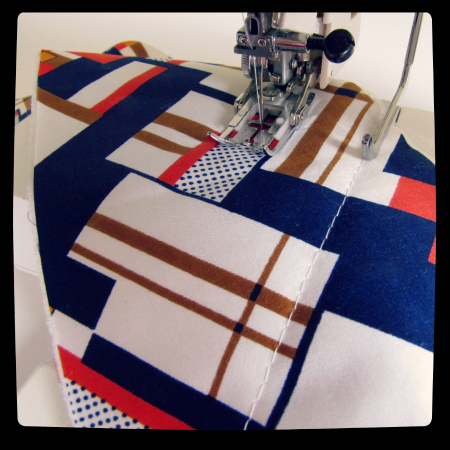 Add your walking foot & quilting guide if you have them and sew your quilting lines on your fabric pieces. It should look a little like this. Fold right sides together in half. 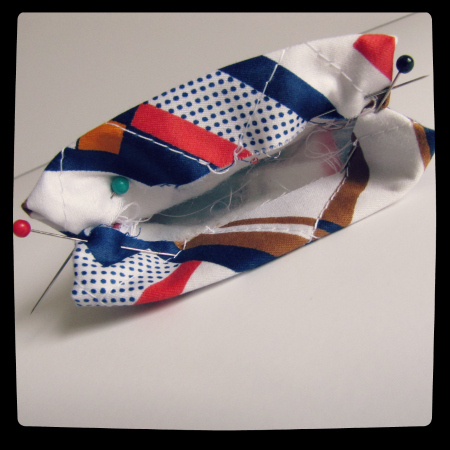 Sew down both sides and stop at the pins. Clip your corners and turn in the right way. 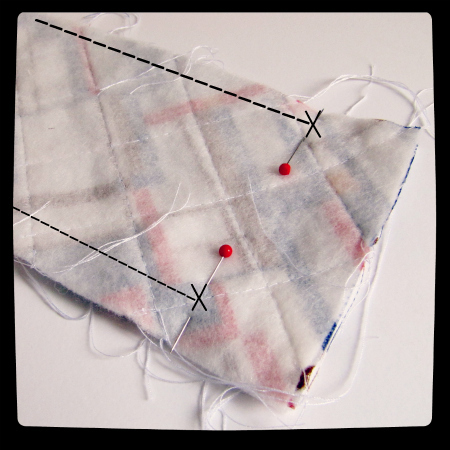 Pin and press your top edge over until it is a little way past the point you stopped at with the side seams. 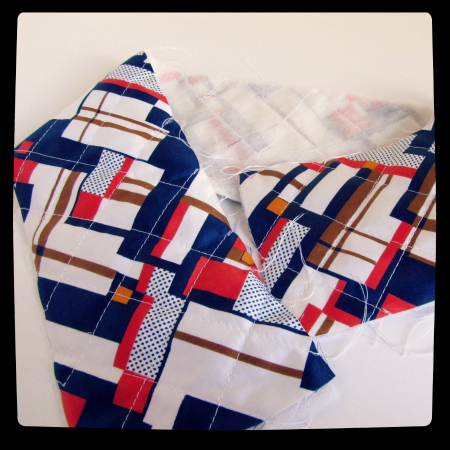 Start on the right side of your fabric and carefully sew around the pouch about 1.5cm from the top edge. 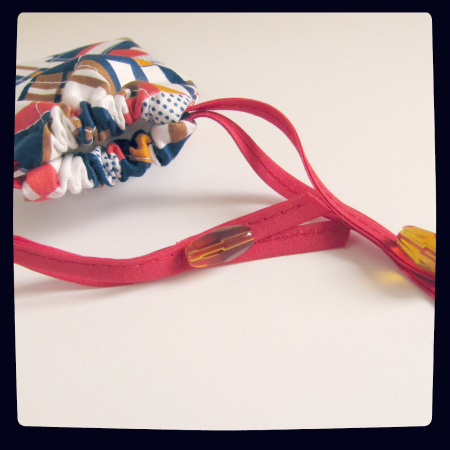 This is the trickiest part of the sewing as it's small and awkward - slowly is the key here! Cut 2 x 30cm long strings. 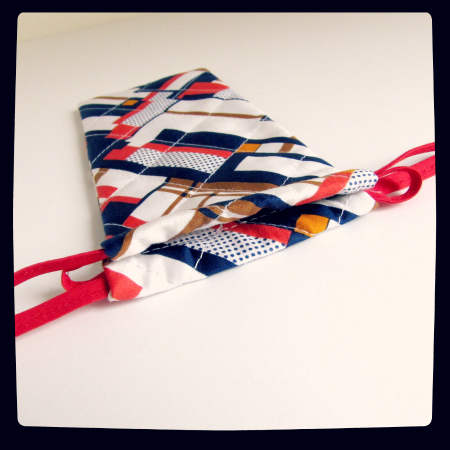 It can be bias folded and stitched, a thin cord or ribbon. Feed one strip from the left side, leave a loop at the end and come back down the other side. Feed the other strip starting on the right side, again leaving a loop at the end and coming back along the other side. You can finish off however you wish. I added a couple of beads but simply tying off is fine as well. I am interested in site name "The Haby Goddess". My great-greatgrandmother's family name was "Haby" and the family came from Alsace-Loraine region in France. Or is "Haby" short for "haberdashery"?? Thanks for the tutorials and the inspiration. 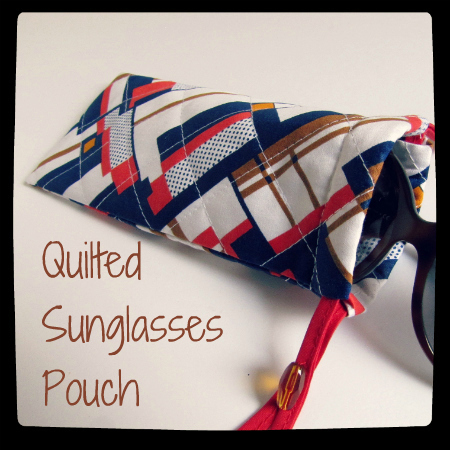 The quilted sunglass pouch turns out really cute, I am planning to make one for our sunnies as well for our mobile phones which I think would be great.